There’s something about textiles that make it so unique from any other fabric. The intertwining of dyed fabrics come together to create something entirely different than the materials alone. Gerolamo “Gimmo” Etro is a designer who travels the world, inspired by the textiles he finds in different corners of the earth. Witnessing the power of textiles firsthand in a traditional environment, Etro put his own contemporary twist on the style to create pieces that stun. His latest work was featured in Milan fashion week 2018. Etro’s innovative pairings and layers hold the eye as the silhouettes of the designs move with the person wearing them as they walk. The designs became a highlight of Milan fashion week. His show in 2017 featured a beautiful runway with a long, colorful textile carpet down the middle and Tibetan prayer flags strung above. He carried that theme into 2018 as well. The Himalayan inspired looks brought a visual explosion to the runway as the models walked head-to-toe in textile coats, purses, accessories, and boots. 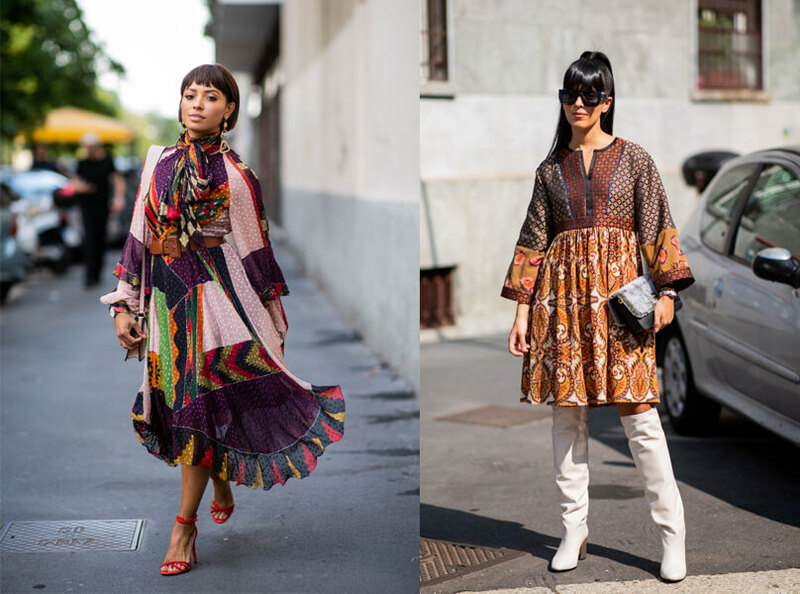 If there had been any doubt whether textiles could emerge in an urban setting, Etro proved that they fit in beautifully. Allow yourself to escape into these beautiful designs for a few minutes and remind yourself how incredible it is that designers are inspired by the world around them, visualize their art, and then create it in real life, turning that vision into wearable pieces of art.